Liverpool's ability to strike late in games is no lucky accident, explained Trent Alexander-Arnold. The Reds produced one of the most dramatic ends to a Merseyside derby in history on Sunday with a 96th-minute winner against Everton at Anfield. That followed crucial late goals past Paris Saint-Germain and Chelsea earlier this season - and the trend is made possible by Liverpool’s defensive resolve, according to Alexander-Arnold. “It’s important for us to stay in the game. Keeping a clean sheet gives us the foundation to go and do these things,” he said. “If we’re 1-0 down and score in the last minute it’s only 1-1. So, it’s important to keep the clean sheet. It’s massive for us. Divock Origi was Liverpool’s hero in the 232nd edition of the Merseyside derby. The Belgian, who had actually scored in each of his previous two home league appearances against the Blues, continued that charmed run in stunning circumstances. Origi’s persistence, having already hit the woodwork, paid off when Virgil van Dijk’s high shot was kept in play by a combination of visiting goalkeeper Jordan Pickford and the crossbar - and he forced the ball home. 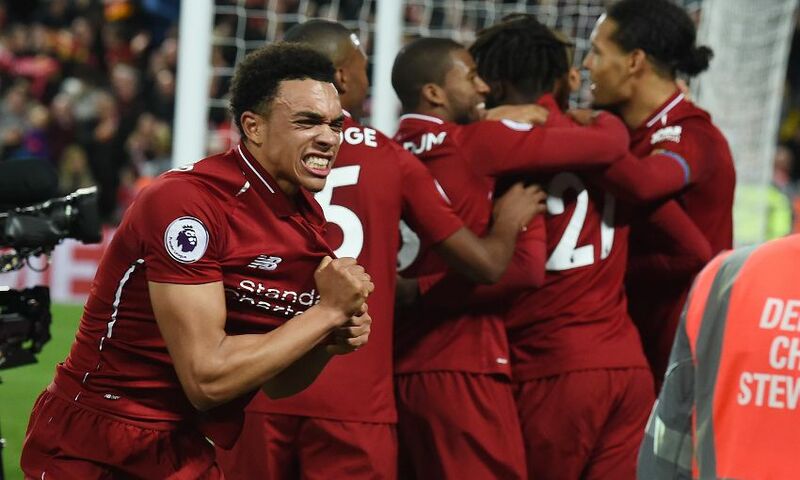 “He probably hasn’t played as much as he’s wanted to and not been in and around the squad, but the gaffer showed why he’s still putting him in,” said Alexander-Arnold. 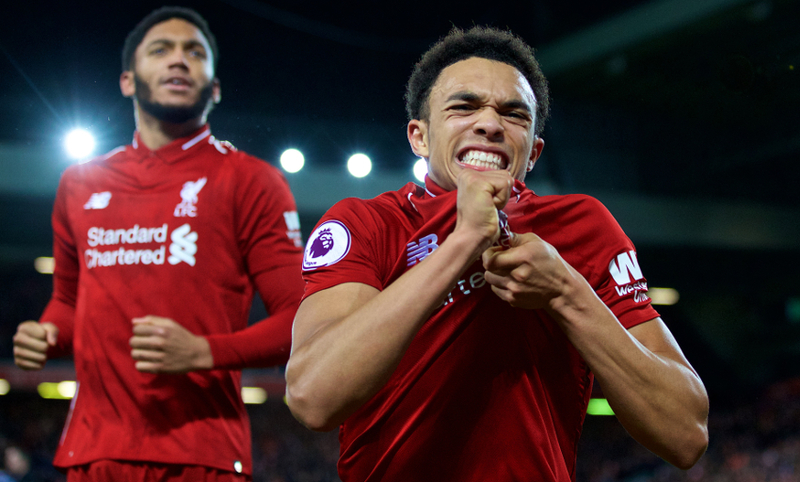 Alexander-Arnold’s passionate celebrations told you everything about what the result meant to the 20-year-old Scouser. The experience was the latest in a string of landmark moments for the Reds and England right-back.